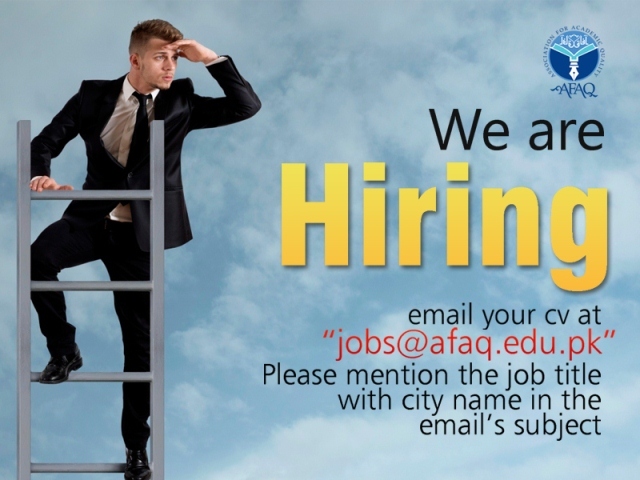 The AFAQ HR Department focuses on employees and their performance. The department promotes a motivated and committed workforce, for optimum productivity through efficient processes. The HR Department has extensive experience in designing and administering relevant, balanced and practical solutions and initiatives to achieve organizational goals by empowering employees of AFAQ to perform at their ultimate level. Our approach is results-oriented, transparent and time-bound, geared towards supporting organizational success in AFAQ. The department promotes workforce excellence through recruitment, applicant screening and employee relations. The aim of the Human Resources Department is to recruit, retain and develop high quality staff; to promote and encourage diversity at all levels within the company to enable the company maintain and improve its competitive advantage. Please mention the job title in your resume or in the email subject.